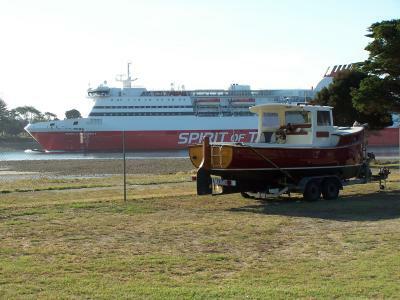 "Toonalook", the recently launched 6m clinker motor boat departed Lakes Entrance bound for Hobart and the Australian Wooden Boat Festival. 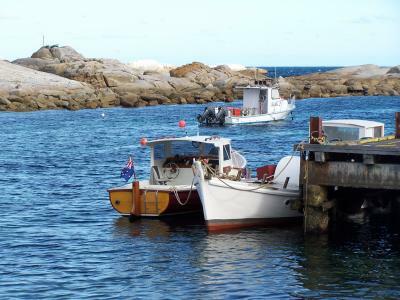 Paynesville boatbuilders James Frecheville and Tim Heaney had their departure delayed by some 3 hours while a stranded trawler was towed clear of the bar. 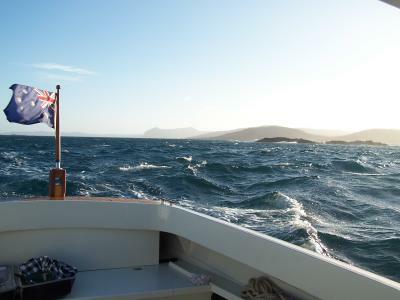 The 20 hour passage across Bass Strait to Killiecrankie on Flinders Island was a challenge for the 2 boatmen as they encountered various weather and sea conditions. 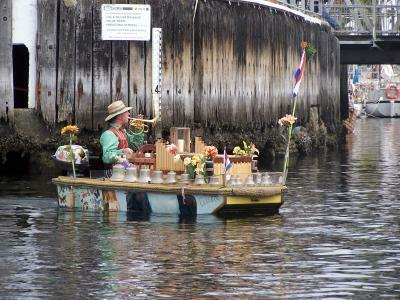 "The little boat performed admirably" reported James. 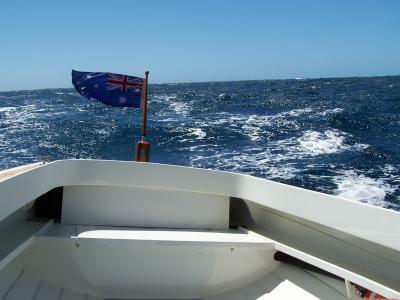 The following day the pair steamed down the west coast of Flinders and Cape Barren Islands working wind and tide before crossing Banks Strait and rounding Eddystone Light for the run down the east coast. A brisk NE wind and following sea saw "Toonalook" occasionally surfing south. 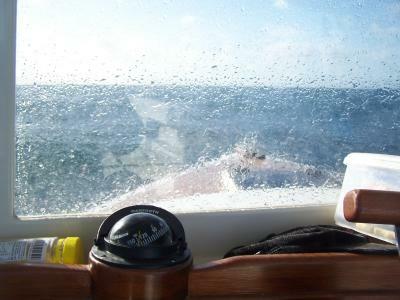 "We were in good company with dolphins and a southbound Tall Ship on the horizon" said Tim. 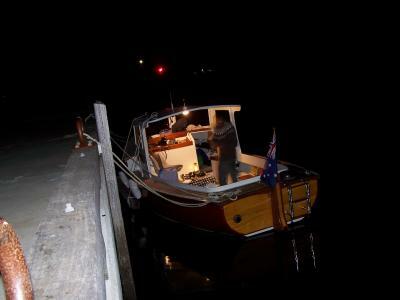 look" punched on to reach the shelter of Bicheno harbour some 5 hours later. 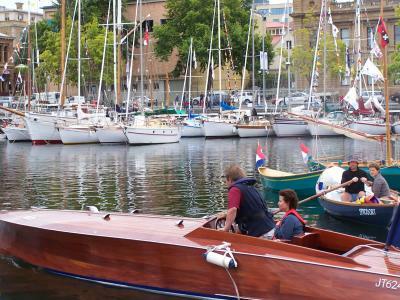 After 23 hours at sea Tim and James pulled into port for a much needed rest. 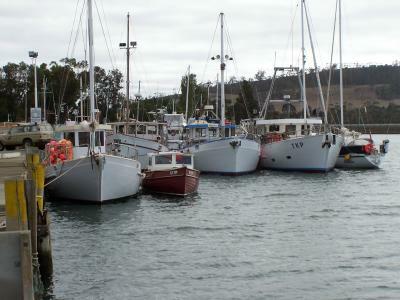 With a strong southerly blowing they spent the day in port in company with a 26? 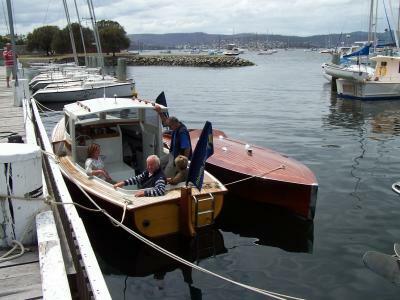 couta boat from Stanley, Tasmania. 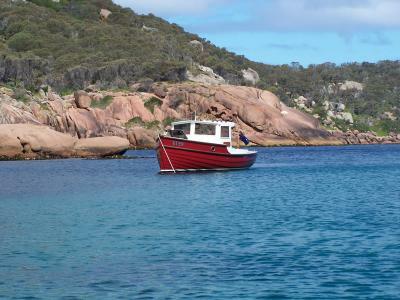 The following day and with a fair forecast the crew steamed south to Wineglass Bay on the Freycinet Peninsula where they swam ashore with cameras to record the classic anchorage and backdrop. 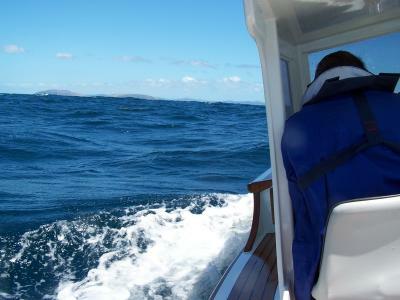 With favourable weather they then decided to head for Schoutten Island and the shelter of a small bay on the south coast where they spooked a few crayfish and the only abalone they found had already been shucked. 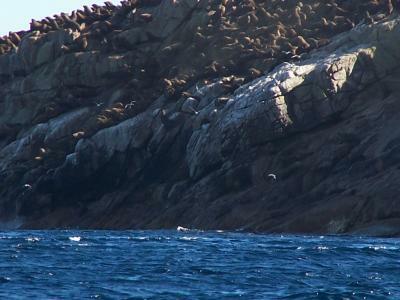 A highlight for the trip was pulling into the lee of Isle de Phoque where a colony of fur seals live. It was thrilling to float within metres of the cliff face surrounded by inquisitive seals diving under and around the boat. With over a thousand in the colony the stench was quite unbelievable. 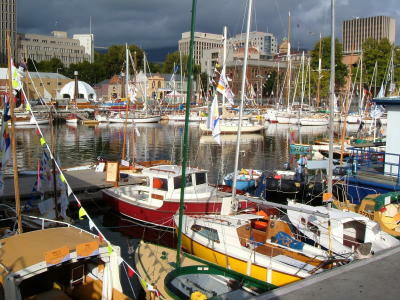 unna the crew had another day in port due to strong southerlies. 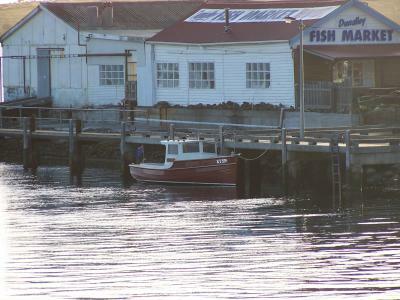 This was no ordeal as the pub and fish?n?chip shop were within 50m of the harbour. 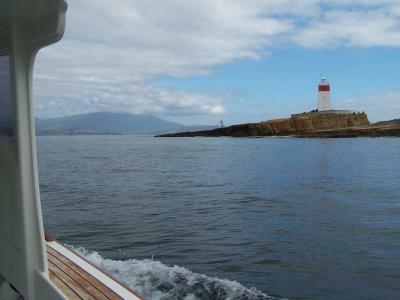 The crossing of Marion Bay south of Maria Island was a cruise with lessening winds and a smooth sea. The bar at Blackmans Bay was calm even though the tide was ebbing and a quiet run to Dunally was enjoyed. 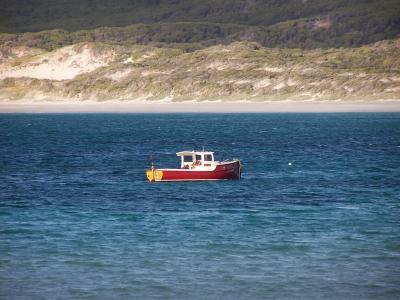 "The boat seemed to be running better each day we ventured south" said Tim. 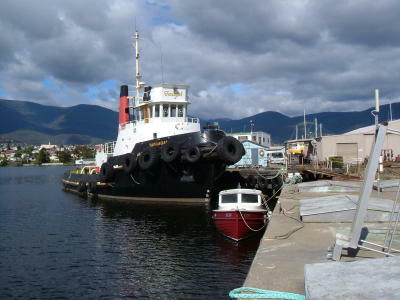 After a quiet beer at the pub the pair steamed across Storm Bay to Hobart the following day and joined the fleet on the Derwent to welcome the tall ships participating in the festival. 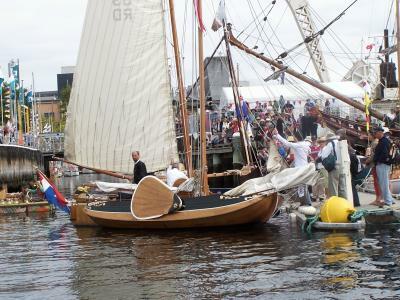 "It was a thrill to steam up the river under the stern quarter of HM Endeavour with another two hundred vessels of all descriptions and sizes" regaled James as he sat on his now well proven boat in Constitution Dock when I caught up with him and Tim during the best ever Australian Wooden Boat Festival. 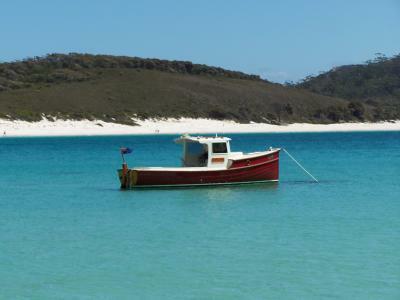 After the festival Tim and his family headed to Coles Bay on the Freycinet Peninsula with "Toonalook" on a trailer. There they enjoyed a much need holiday camping near the beach. 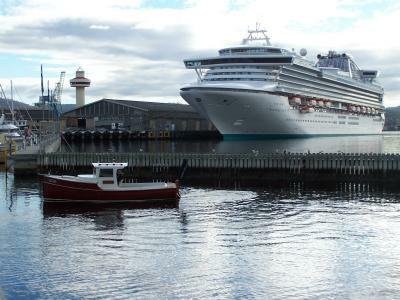 "Launching the boat for a day trip to Schouten Island and the Passage was a doddle. 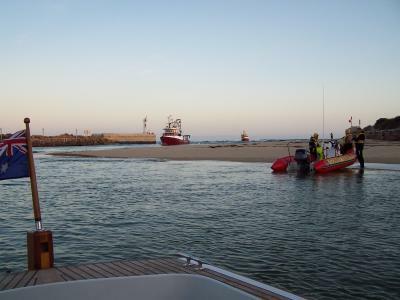 We all enjoyed a great days boating before a simple retrieval on return" said Tim.